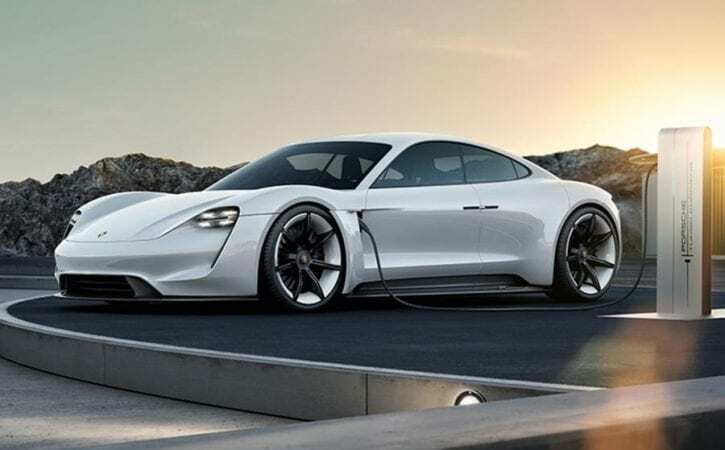 The concept, first revealed at the Frankfurt motor show back in September, has been given the green light for production by Porsche’s supervisory board. Chairman of the executive board Dr Oliver Blume said the company is “beginning a new chapter in the history of the sports car” with the launch of the Mission E.
As a result of the car getting the green light, Porsche says more than 1000 new jobs will be created at its Stuttgart HQ. Around €700 million will also be invested in its main factory, with a new paint shop and assembly plant being built there. The factory’s existing engine shop is being expanded to produce electric motors alongside combustion engines, while the body shop will be enlarged. Porsche’s Weissach development centre will also receive new funding. The Mission E – a name unlikely to follow the car to production – is intended to “combine outstanding driving performance with trendsetting day-to-day practicality.” The four-door, four-seat model features energy storage know-how garnered from the Le Mans-winning 919 Hybrid race car, along with lightweight construction and battery technology from the 918 Spyder. Power for the concept comes from two electric motors – one mounted up front acting on the front axle and one at the rear providing drive to the rear wheels. Combined power output is rated at 592bhp, and Porsche says the Mission E is capable of reaching 62mph in under 3.5 seconds – faster than a 911 – with a range of more than 310 miles. By comparison, the most powerful version of Tesla’s Model S, the P85D, gets 682bhp from its dual electric motors, and can hit 62mph in 3.2 seconds. The Mission E concept weighs in at 2000kg, and features a liquid-cooled battery mounted low in the floor – something Porsche says allows it to provide the Mission E with a low centre of gravity similar to that of the 918 Spyder. The concept also sits on an all-new platform specifically built around its electric drive system, featuring a floorpan made from aluminium, high-strength steel and carbon-fibre reinforced plastic. The adoption of a bespoke platform means that hybrid or combustion-engined variants of the Mission E are effectively ruled out. The car also features a revolutionary 800-volt charger unit, which is capable of re-charging the Mission E’s lithium-ion batteries to 80% of capacity – enough to provide 249 miles of range – in just 15 minutes. Wireless induction can also be used, where coils are embedded into the floor. It’s interesting to see such a confirmation in electric technology from Porsche just weeks after the Volkswagen Group confirmed it was scaling back investment in new models in the wake of the emissions scandal. Bugatti’s Chiron was thought to be one of the few models safe from potential cuts, with VW Group boss Matthias Müller promising that anything which was “not absolutely necessary” would be cancelled or postponed.